Vegetarians used to be on the fringe of culinary society, but that’s changed dramatically in recent years. Now, even those who don’t identify as full-fledged vegetarians are turning to plant-based protein for a significant number of meals. Research from NPD notes that 43 million consumers regularly eat plant-based proteins and that 86% of those consumers do not consider themselves vegan or vegetarian. That means that even if most diners aren’t vegetarians or vegans, operators still have an opportunity to showcase plant-based options. Here are a few ways that operators can make sure that customers are aware of the plant-based menu choices available and entice trial. A patron might not think to look at the organization’s website for the latest on foodservice, but they may follow social media profiles that are regularly updated with the operation’s latest and greatest culinary offerings. That’s particularly true for millennial and Gen Z patrons, who are the most likely to seek out more plant-based foods. What’s more, 52% of these consumers say they would pay a premium for plant-based protein, according to 2018 Datassential research. Consider creating a hashtag for plant-based offerings, such as #VeggieVentures or #PlantPower, that will automatically alert customers that there’s a worthwhile plant-forward menu item that they should head in to try. Along with using social media to create awareness, platforms such as Facebook, Instagram, Twitter and Pinterest offer a way to engage with guests beyond standard text posts. 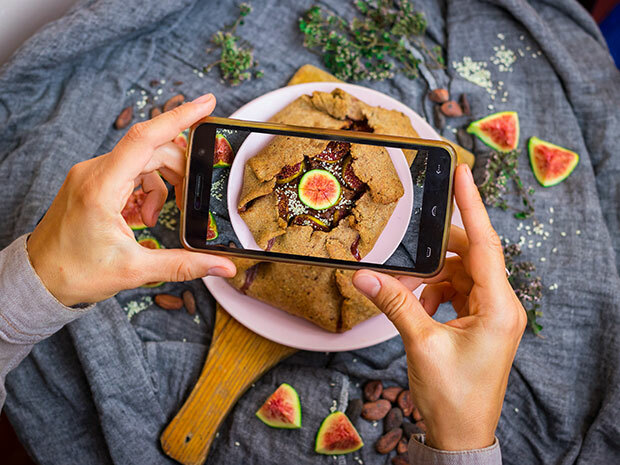 Create an incentive, such as a contest, for customers to buy a vegetarian offering and share it with their friends, which raises even more awareness of the menu items. Look to Kelloggs’ Make the Flip competition as an example. The sweepstakes asks operators to buy cases of MorningStar Farms products and share how their menu “made the flip” to including plant-based offerings by hashtagging #maketheflipentry on any posts they make about it. Guests can get in on the fun to support the program by tagging their meals, too. Don’t assume customers know which entrees are vegetarian and which ones aren’t. Being able to clearly see plant-based choices makes it easier for consumers to choose them, so consider including a leaf symbol or a plant-based protein graphic for the menu item so they stand out. This way, consumers will easily be able to determine which items are plant-based without having to read a long list of ingredients for every dish. Daily specials most often feature chicken, steak or fish, but a plant-based version will excite both vegetarians and those looking for intriguing plant options. Options for inspiration include Mexican street tacos, a banh mi sandwich or Brussels sprouts and black kale salad. Post pictures to social media one to two hours before mealtime to encourage customers to come down to the dining area and try them out. There are several ways to survey guests to get their thoughts on new menu items. The old-fashioned way of asking them to fill out a survey on their way out works, but there are more technologically-savvy methods of collecting this data, too. For instance, turn to social media to find out what not just they thought of the plant-based menu items, but also what they would like to see more of. Create a poll on Facebook with potential menu items and have them vote for which they’d like to try—their answers might be a surprise to foodservice operators.